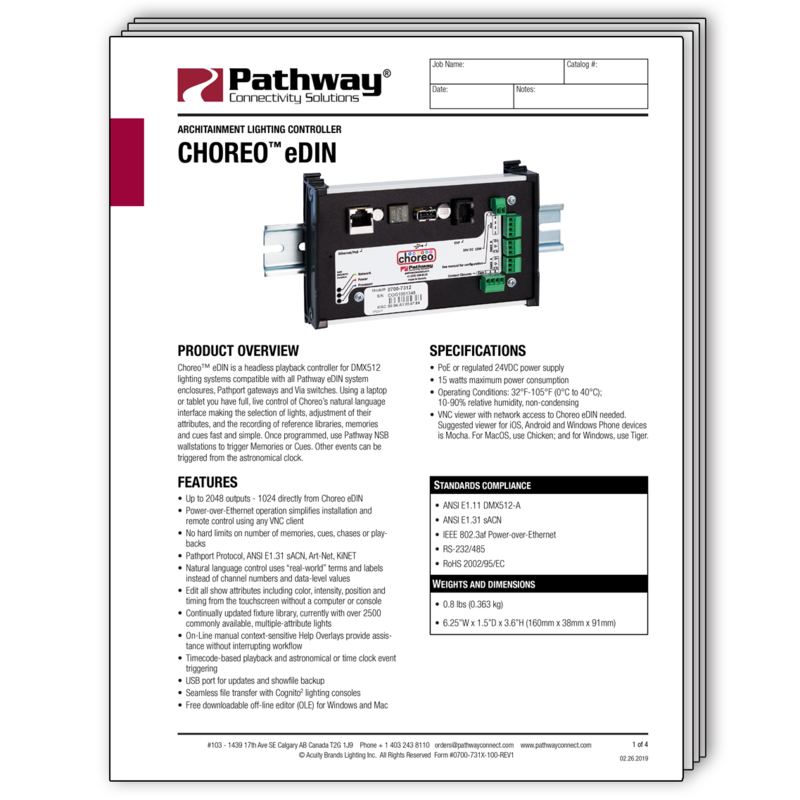 Choreo™ eDIN Controller is a headless playback controller for DMX512 lighting systems compatible with all Pathway eDIN system enclosures, Pathport gateways and VIA switches. 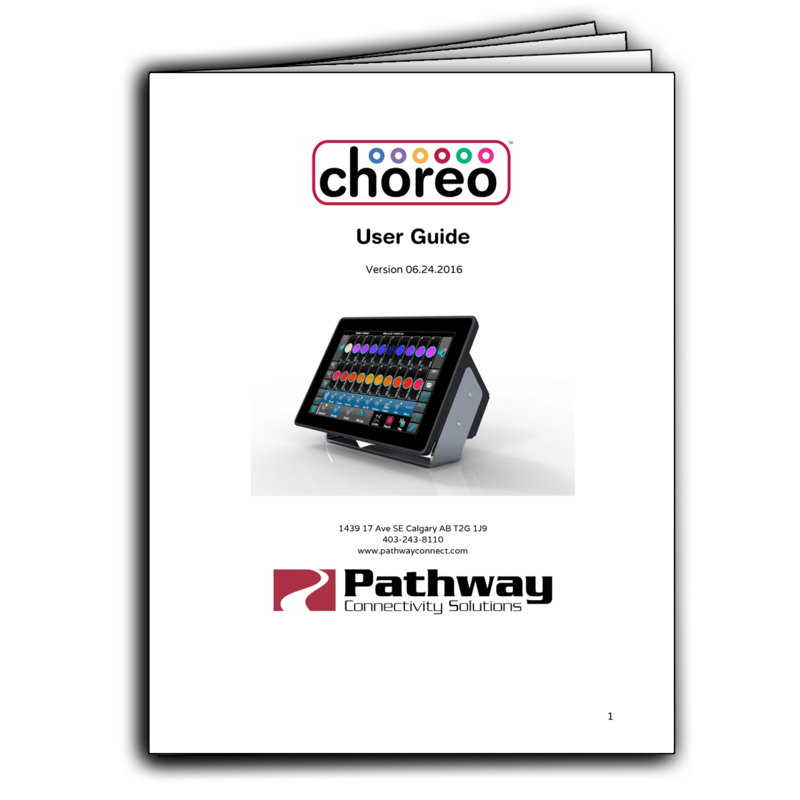 Using a laptop or tablet you have full, live control of Choreo's natural language interface, making the selection of lights, adjustment of their attributes, and the recording of reference libraries, memories and cues fast and simple. 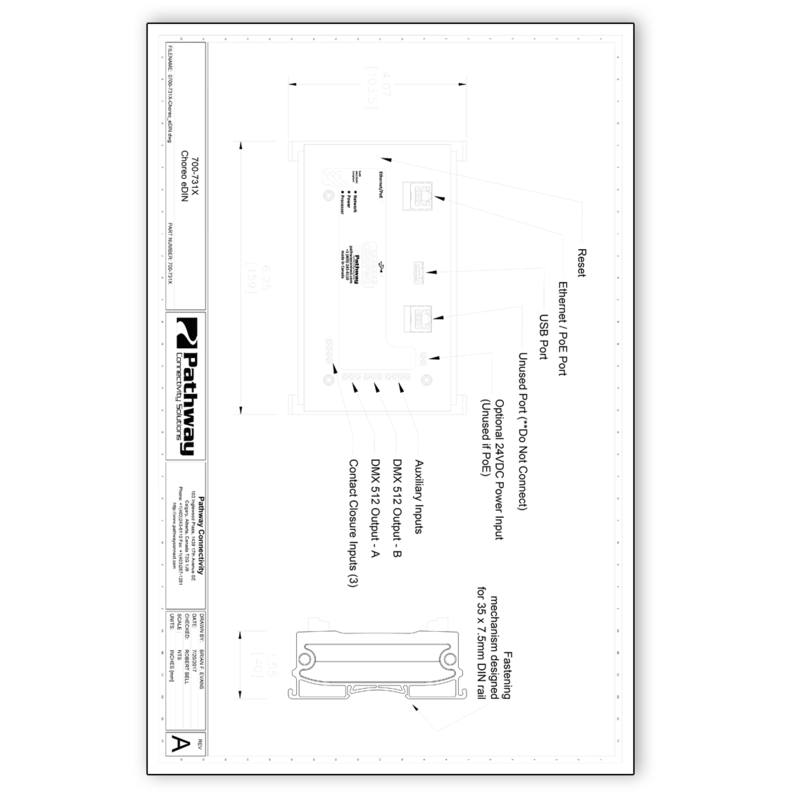 Once programmed, use Pathway NSB wall stations to trigger Memories or Cues. Other events can be triggered from the astronomical clock.